It is guest post day here at Duct Tape Marketing and today’s guest is from Gal Borenstein – Enjoy! Is outbound marketing finally dead? Conventional wisdom says yes. After all, how many of us look forward to getting spam emails from businesses we don’t know or open an envelope with an invitation to a “free” event we know is rigged to sell us something we don’t want? Or even worse, what about the ever-annoying door-to-door salesperson telling us how our tree is dead, or our windows truly need replacement? Certainly at some point we have all wished that the “outbound” would die, and justifiably so. But, before you kill “outbound marketing” in your budget, marketing plan and small business execution, think about the function it plays in each strategy. I contend that outbound marketing is just like the electricity and water that power the daily routines of your business. You’d never notice their importance, until the power goes out or the water stops flowing when you need to take a shower. 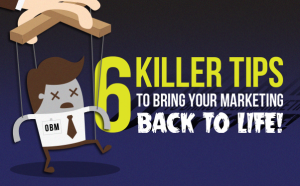 Here are six “killer” tips to bring your outbound marketing back to life. Demonstrate your subject matter expertise. In a world of generalists that say they can do anything and everything, dare to be the one that specializes in a niche solution. By doing so, you can easily reduce the amount of competitors and actually help your prospect realize the value of working with you. Customize your approach and don’t use pre-made templates. Remember that your prospects are seeking to differentiate you from your competition. With the bevy of marketing systems that allow you to use the same pre-designed “rush priority” envelope, or a web site and email template that another 200 small businesses are using, you stand to accomplish the opposite of standing out. The rule of thumb you should follow is that if it is a template, and you can afford it, it isn’t that special anymore. If it were worth anything, it would have been more valuable than the $39.99 price tag. Select the most compelling marketing medium that matches your audience demographics. Your prospect demographics are changing and perhaps at the “speed of light” like never before. Digital advertising through Pay-Per-Click, for example, went from being entirely based on using desktop computers to now having the majority of buyers first visiting a web site or landing page via their mobile device or tablet. Is your outbound marketing piece adjusted to their usage reality? Throw the old assumptions away about how people use technology, and ask. You might be surprised to find out that even WWII and Vietnam veterans are purchasing their AARP products and services online. Brand your outbound marketing uniquely and creatively. With more competitive venues to create and leave a colorful impression on prospects from the usage of video in content marketing to flooding your prospect’s mind with compelling, funny, or memorable imagery—reexamine your outbound marketing campaign. Does it do that? Or is it boring, dull and uninspiring? A good rule of thumb in branding is that if you can paste your logo on top of someone else’s marketing piece, you don’t have a unique brand to claim. Why waste the opportunity? From Apple’s distinct design of its ads (always clean, lots of white space and few words) to Papa John’s Pizza (Papa is always in it), these brands manage to leave a strong impression with every outbound marketing touch point. Choose quality over quantity. In outbound marketing, we are filled with formulas that are driven by percentage of response, ROI and the number of visitors to a site. What really matters is the quality of your responses. If you are seeking a response that expedites the selling cycle, you should truly focus on setting the bar on an integrated direct marketing approach that starts by ensuring each “touch point” with your prospect provides value versus pure crude exposure. Synchronize your in-house operations and your direct marketing activities. 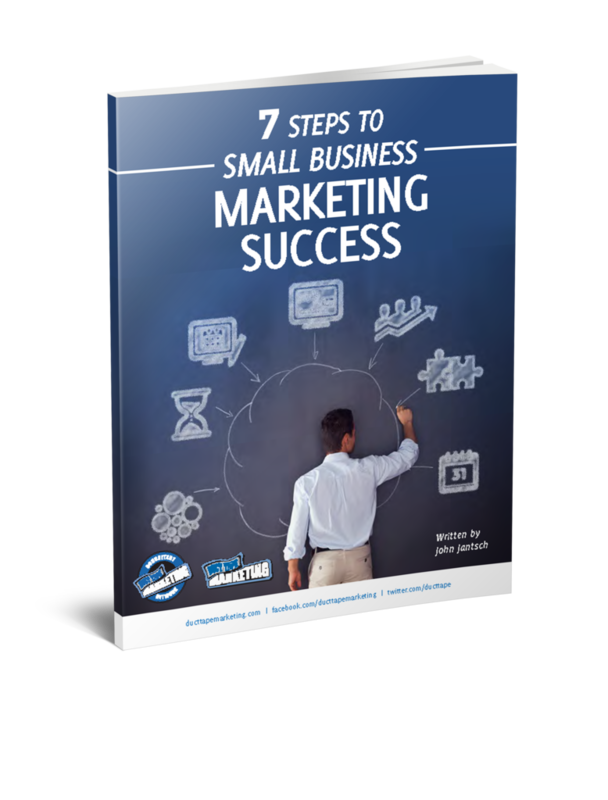 For many small businesses, a major direct marketing campaign could represent a significant budgetary investment. Yet, often when I call back to respond to an offer that was emailed or mailed to me, I find that the sales or customer service department doesn’t know what the offer was. Or worse, they say the program doesn’t exist, or ask that I should show them proof. Imagine the colossal waste of your budget associated with losing the opportunity to make a sale. 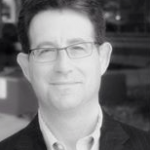 Mr. Gal Borenstein (@galborenstein) is the CEO and Chief Strategy Officer of the Borenstein Group, a Northern Virginia-based integrated digital marketing communications agency supporting emerging innovators and industry leaders in Information Technology, Management Consulting, Logistics & Supply Chain Management and Professional Services.